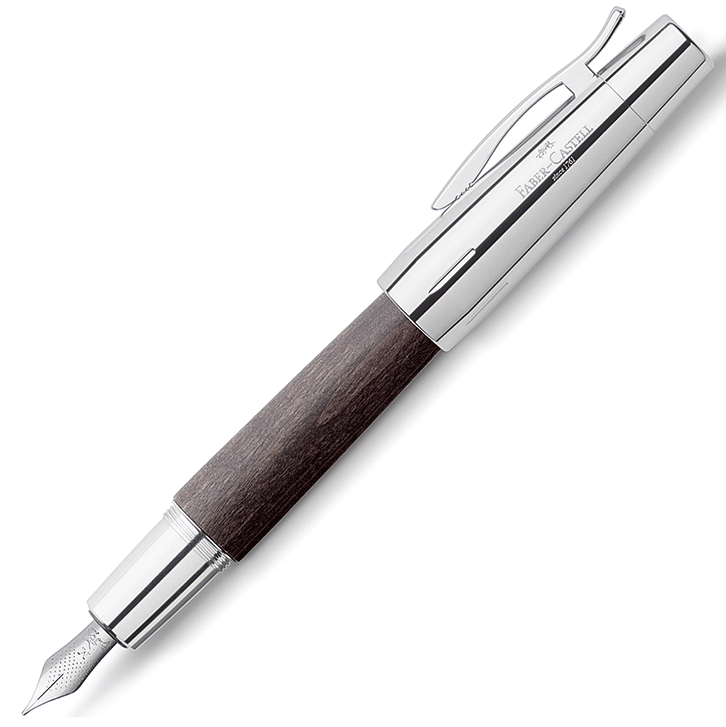 ‘E-Motion’ ballpoint pen featuring a real pear wood barrel and gleaming, chrome-plated components – by Faber-Castell. With a quick twist, you’re ready to write. 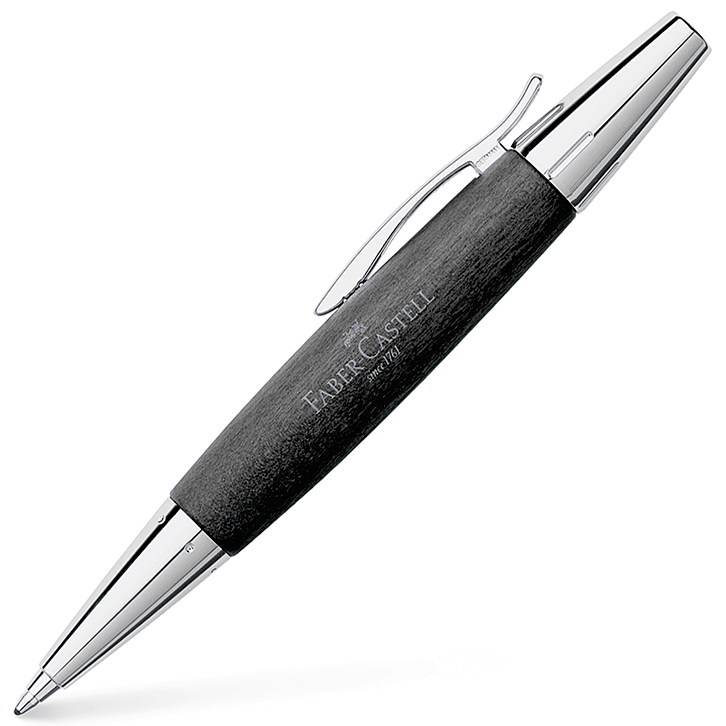 The ball pen comes with a large-capacity refill in black, B thickness. A spring-loaded clip holds the pencil firmly in your pocket. 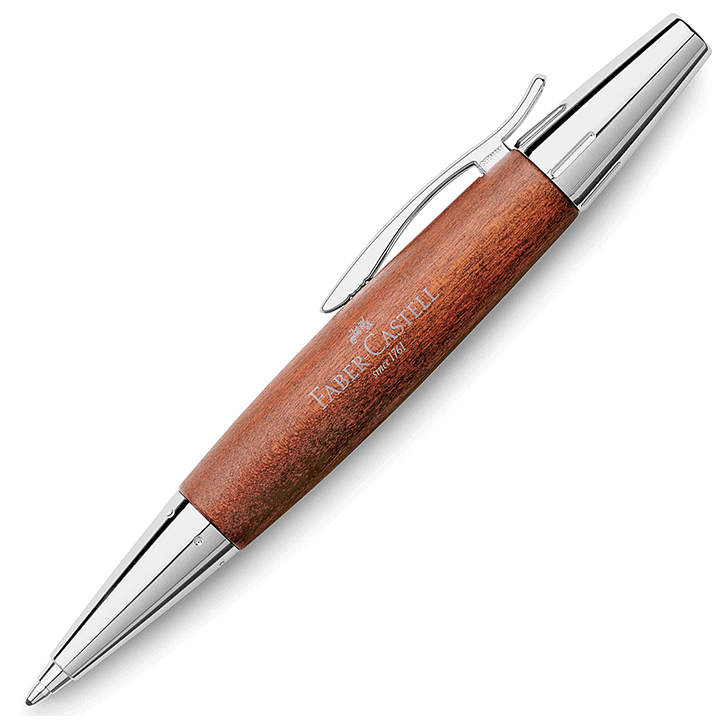 Supplied with a lovely Faber-Castell gift box and available in reddish brown, dark brown and black. 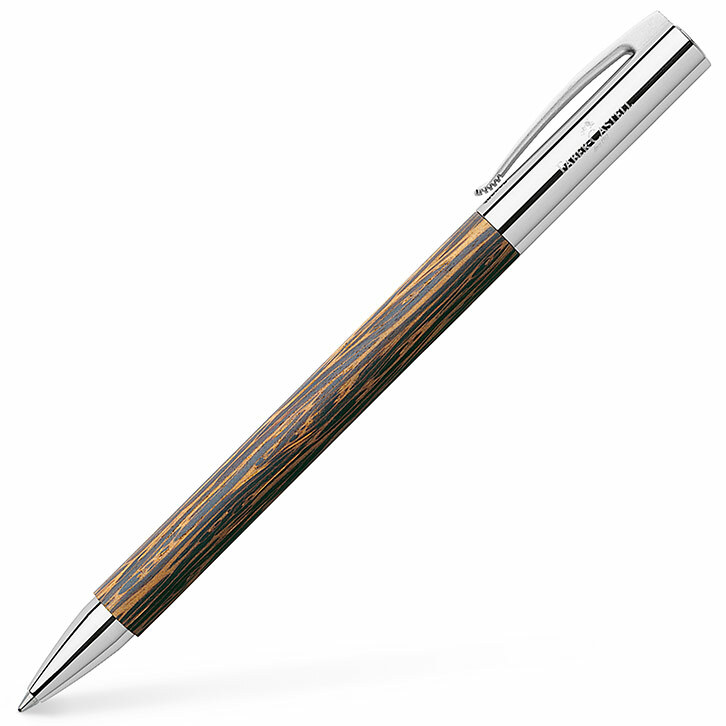 Length of writing instruments: approximately 126mm. 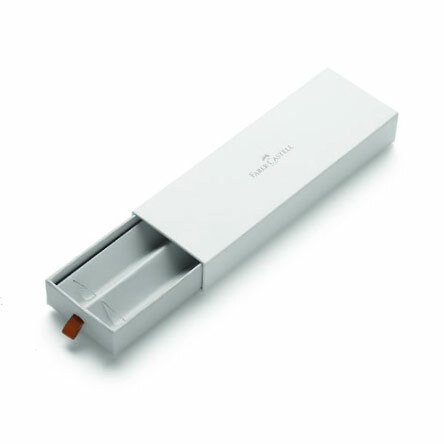 Max width of barrel (excluding clip) is about 15mm.